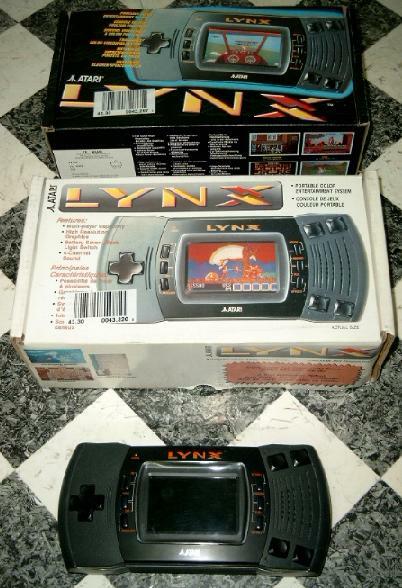 I own two different boxes for the Lynx II. Although they are of the same size their artwork is totally different! 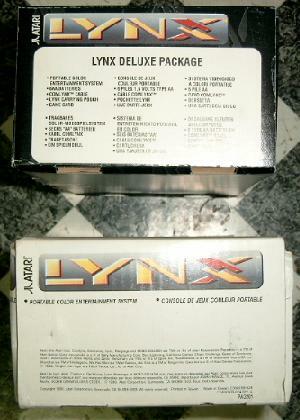 The white box has a totally white background while the black box has a texture of a gray X similar to the Lynx I boxes i own. 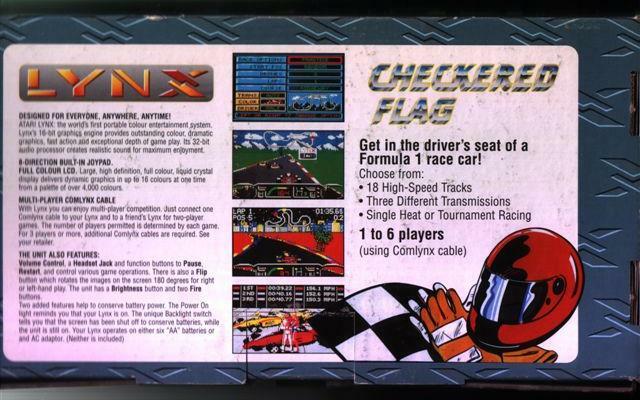 Garth Elder has sent me pictures of his Checkered Flag-LynxII-box. The CF-box is a custom-printed box, not a standard-box with a big sticker. There is no similar serial number on the black box. 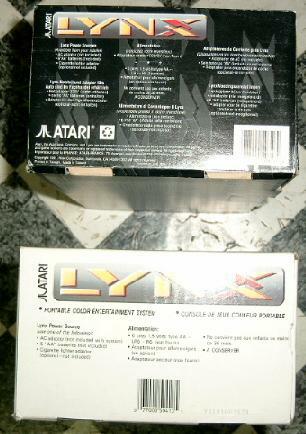 The text on the white box is in english and french. The text on the black box is in english, french, german, dutch, spanish and italian. On the left side the possible power supply sources are listed. None of the three optional power supply sources is included in the white box. 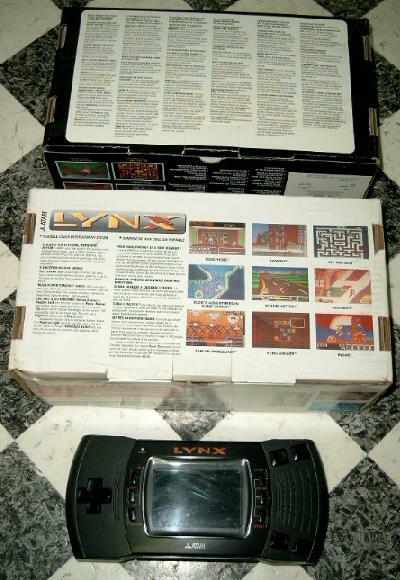 In the black box the six "AA" batteries are included. 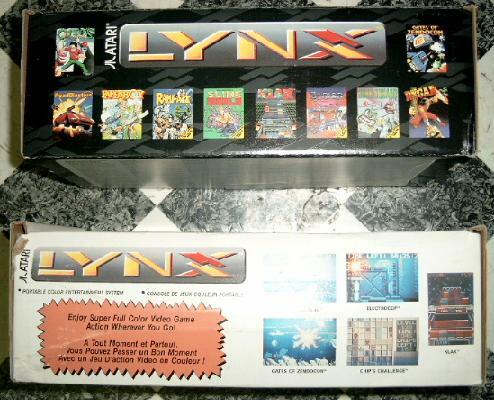 The white box lists here the copyright notes for the games mentioned on the bottom side. 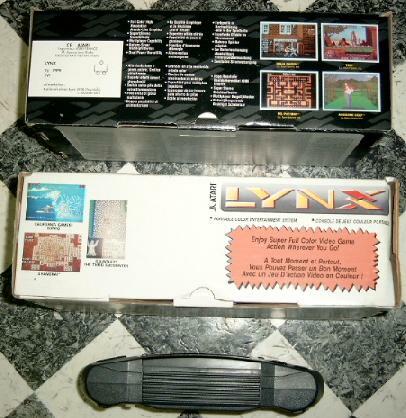 NINJA GAIDEN Lic. from Tecmo, Ltd.
TOKI Lic. from Fabtek, Inc.
MS. PAC MAN Lic. 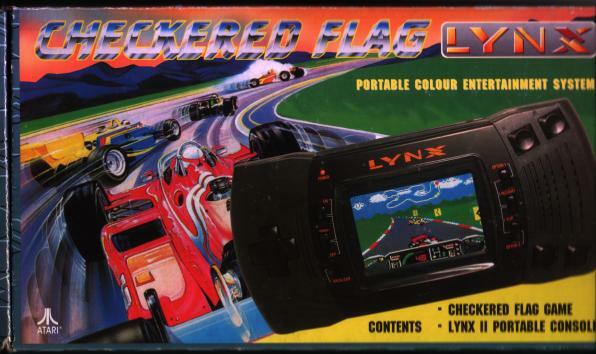 from Namco Ltd.